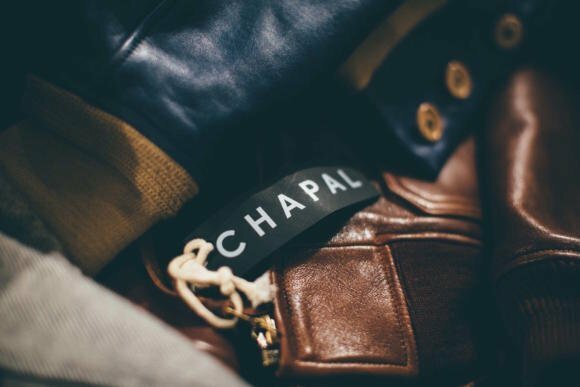 Fans of vintage clothing should love Chapal. They’re using the same leathers, the same linings, the same hardware they supplied to the French and US airforces 100 years ago. When I wrote about fellow French leather-specialist Seraphin earlier this year, a few readers asked how I would compare the two. I think the best way to think about them is vintage vs modern. Chapal was founded in the 19th century. It uses pretty much the same materials today (having its own tannery helps) and many of the same designs. This is, of course, good and bad: great if you love vintage, not so great if you want something updated. Seraphin was founded in 1975. It was part of the new trend that saw leather goods as luxury for the first time - rather than workwear (something fellow Frenchies Zilli arguably started). That luxury angle means Seraphin tends towards the more showy, the exotic. It’s nowhere near as bad as Zilli or luxury brands like Stefano Ricci, but you can see that luxe bias in even the most simple pieces - the silk linings, the leather piping, the bespoke zippers etc. Both aesthetics have their downsides. When I went about commissioning a USAAF leather jacket from Chapal earlier this year (pictured here) I aimed to mitigate its vintage aspects with a few tweaks to the cut. The Chapal showroom is in a beautiful Haussmann townhouse on Rue de Rivoli, overlooking the Tuileries Gardens. Massive oak doors; marble stucco walls: the kind of grand building that rarely gets used for retail in London. Upstairs the decor is rather more modern (I’m not a big fan of the latest Chapal offshoots - denim and bags) but the leather jackets are easy to spot, and begin trying on. A reader made another interesting point recently in regards to leather blousons (it is so useful having intelligent readers). That was that part of the luxury of such a piece in a beautiful leather is the excess of material around the body, cut short by the high waistband. That it’s almost a shame to have such leather cut slim. You can certainly feel that luxury in the oiled, veg-tanned leather on display here at Chapal. And unlike the suede blouson about which that comment was made, I’m happy to have more volume up top. Partly that can’t be avoided, as the USAAF style has deep pleats behind the sleeve (what is often called an ‘action back’) and so expands into voluminous leather as soon as you reach with the arms. But it’s important to have volume too when standing still, to retain faith with the very functional design. 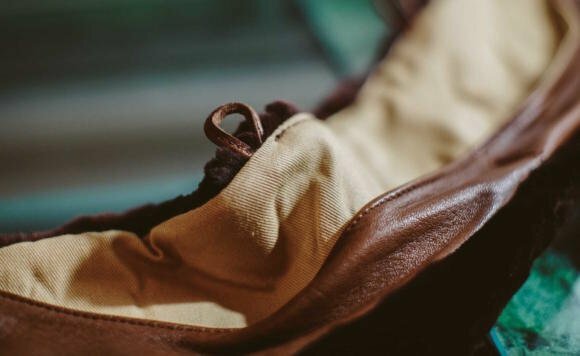 The question is, how much of that leather should be cut back in a made-to-measure model (as mine was) in order to bring the vintage aesthetic a little bit up to date? 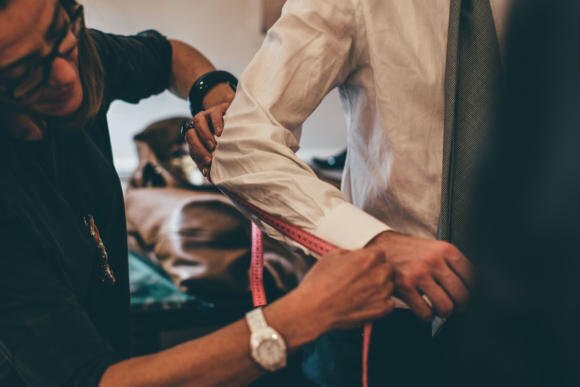 Of course, this is one of the key problems of bespoke - making abstract choices on fit, line and cut, rather than selecting one of a range of sizes off a rack. 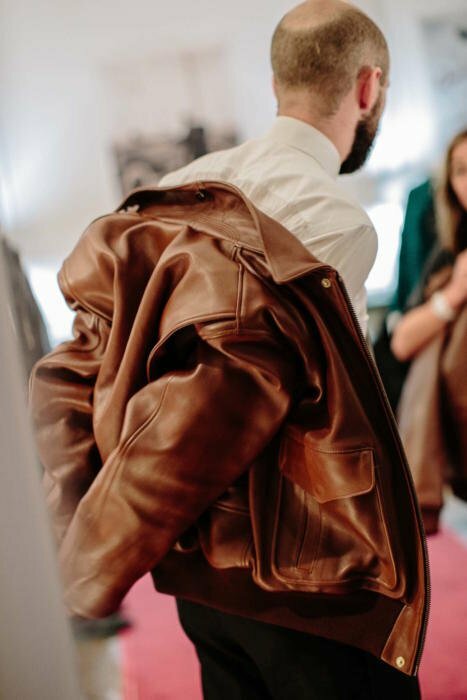 With a made-to-measure piece like this leather jacket, you do at least have the benefit of trying on a basic size, and then deciding how much to take off or add on. 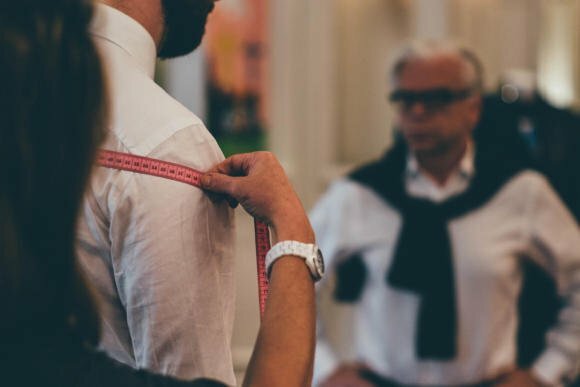 With me, that usually means finding the right size for the chest and shoulders, then slimming down the waist, lengthening the sleeves and perhaps lengthening the body. Here I kept it quite short, in order to maintain some faith to the traditional design, and kept a little more of that volume in the body than I would have done normally. Made to measure USAAF Chapal jackets start at 2900 euros. 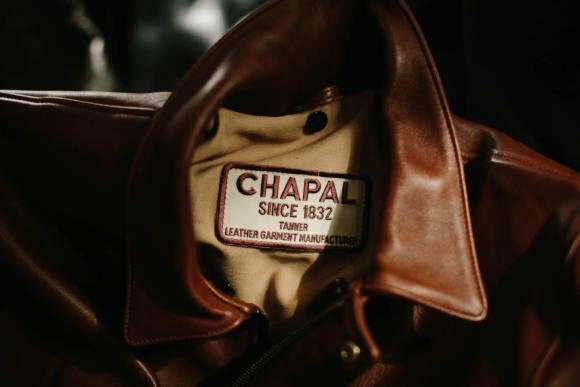 You can follow the discussion on Chapal made-to-measure leather jacket, Paris by entering your email address in the box below. You will then receive an email every time a new comment is added. These will also contain a link to a page where you can stop the alerts, and remove all of your related data from the site. it looks like an interesting project. Can’t wait to read your next updates. I googled Chapal and noticed that the USAAF Jacket is priced €2900. Your article says that MTM starts at €2600.. Am I missing something? So did you pay for the jacket? I wouldn’t generally recommend commissioning a jacket that is so radically different from the styles they normally do – they’re not tailors, and it could easily go wrong. They may not even agree to do it as it would likely involve fresh patterns etc and they would likely want to prototype a new design before they were happy to sell it. The band hasn’t frayed on others I’ve seen – there are definitely different levels of quality in cotton ribbing. But some wear like that is inevitable over the years, yes. Simon, sorry to resucitate an old comment. Could the elastic bands be replaced down the line? I’m afraid I don’t know enough about the construction of the jackets. Hi Simon, were you happy with the results? Did it fit nicely? 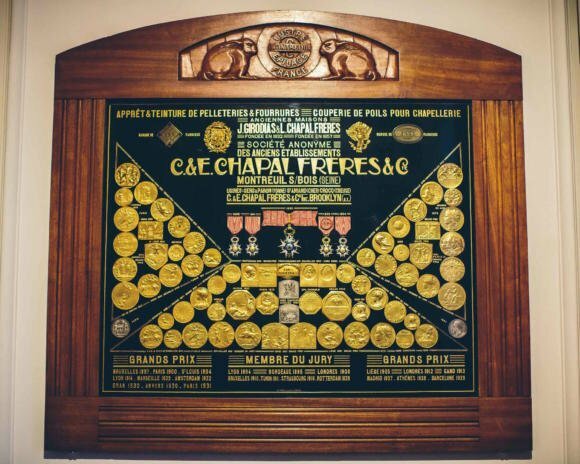 Chapal jackets used to be very affordable, and many (mostly people from leather-jacketing euthusiast forums like The Fedora Lounge) claim to have acquired Chapal jackets for around £350, prior to the French adoption of Euro. 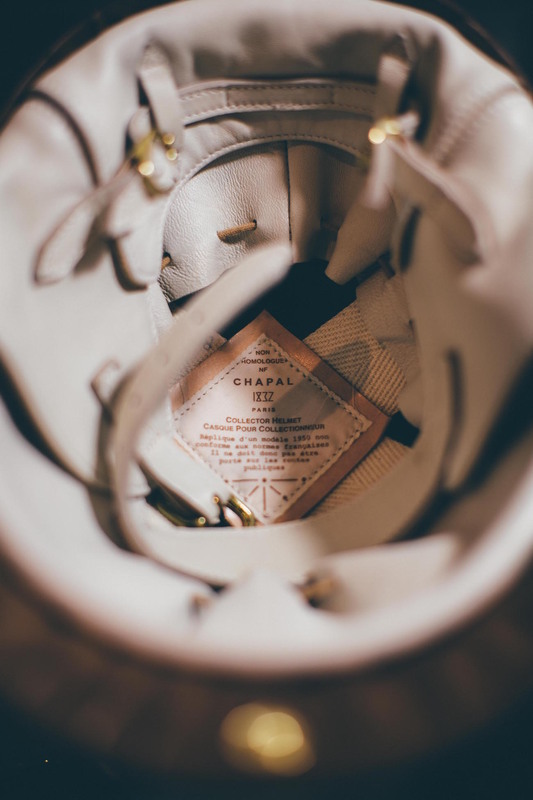 It appears that ever since the French currency change, Chapal has been steering its pricing policy quite dramatically. The same people have attributed this steep pricing to their increasing collaboration with fashion designers and their physical shopfront at the lavish Champs Elysees, in other words, increased prestige and fixed-cost. I don’t know the pricing history, as I have only known them for the past three years. But I do know from experience in the industry that you could not make and sell a jacket like this profitably for anything like £350. The same quality of materials and make would also be far more expensive at a designer brand – as we can see with the Seraphin example. Thanks Simon, that is very reassuring. are you still looking for the 1914 model ? I have this model for sale at the moment. The buttery quality of the leather is superb – it is perhaps from this persective that Chapal might be worth the premium (overheads etc. aside). On this issue, I was reflecting upon the relatively decent summer which led me to wonder whether you have given reasonable use to the suede Cifonelli jacket? I ask as I suspected that though it was an excellent piece of artisanship it had neither the material softness of drape required for an SB nor the requisite cut for casual wear (vs. blouson etc. )…not a criticism just intrigued by the real world possibilities and limitations of such a piece. Hi. Yes the quality of leather is absolutely key to this. And surprisingly, the cotton drill lining too, which is thick and soft. I want to find an equivalent and use it on every casual jacket I have. I haven’t worn the Cifonelli jacket much in the summer, as it was too warm. It’s much more of a Spring/Autumn piece, and given the mildness of weather here in the UK, likely into the winter too. It will be very interesting to see how this project turns out. Personally I have always found it impossible to conceive the perfect leather jacket. I rather think it’s something that you either just stumble on or never find. I avoided them for decades rather thinking they were for ‘others’ when about fifteen years ago I came across a Zegna effort in NYC. It fitted me perfectly and has been a staple since. It makes me look like a slightly debauched ageing rocker rather than a truck driver. When I look at this Chapel effort – nice as the leather may smell – I fear it may have the aura of a ‘Memphis Bell’ extra about it. Seraphin doesn’t really do it’s own retail, so it’s dependent on individual shops. I know Seraphin can offer this service to its retailers but I don’t know which ones offer it if any. I can ask though. Ah…so is there a “Seraphin” label on the jackets or not? I guess there is on their own label product, but not if they are making for another luxury brand. Yes it would be helpful to know which retailers offer this MTM service. Many thanks! – Wholesaler. Making products that are bought from them and sold on by retailers, under the Seraphin label. – Manufacturer. Making for other retailers (or indeed wholesalers) for them to design and sell themselves, under their own label. Great article. I simply love Seraphin. I saw them in Pitti and I was blown away. So with this comment are you saying they produce for others as well? Or you meant Chapal? Also you talked about Quai de Valmy being full of leather ateliers? Is it still the case? 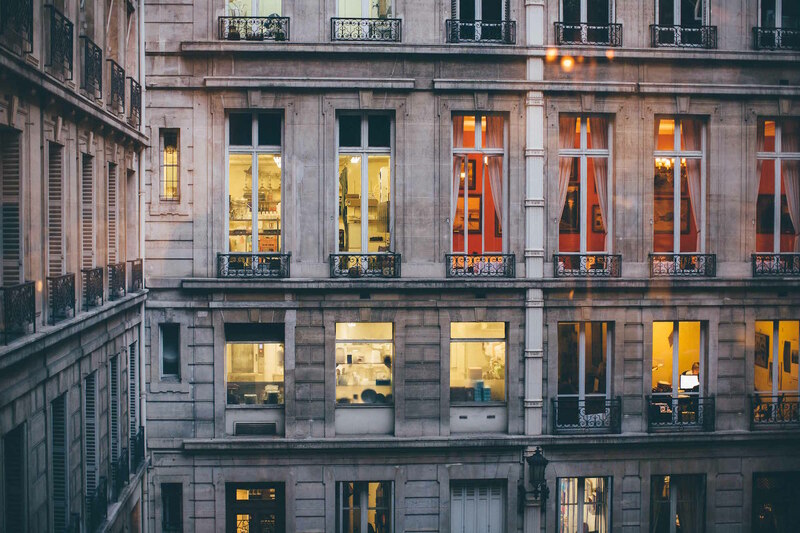 Did you see others when you visited Seraphin? Thank you. It used to be full of leather ateliers, it’s not any more sadly. And yes, Seraphin produce for several others, most famously Hermes. Thanks Simon. That’s great to know. About Seraphin I don’t know their revenue numbers but their quality and design is simply out of this world I find. I spoke to Zaks in Pitti he was so incredibly shy but he looked like a nice chap. What’s the material used in your white shirt? It creases very beautifully! Hi Simon, I have been looking for a leather jacket for some time with no success… After trying a few (last one today at the Real McCoy which I loved but again didn’t fit me well) I believe my only chance to own one is going for MTM. I was wondering how happy you are with your Chapal after few months of wear and if there is any plan for a “how great things age” article. Thanks Simon! Indeed the aviator is exactly the style I am looking for. Unfortunately, being tall and slim, they either too short in the sleeves or too bulky in the body (same problem you are facing I believe). I think dark brown if practicality is a concern at all. And no, sorry, I haven’t written anything more. I can plan one though.